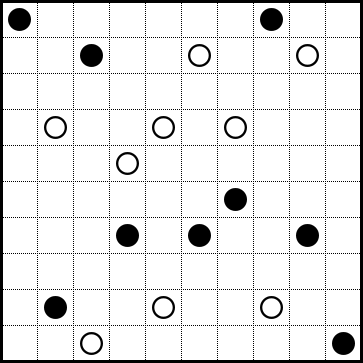 This is another Masyu Variant. It was used in IPC 2012. 1) Cells unvisited by the loop cannot be orthogonally adjacent to each other.